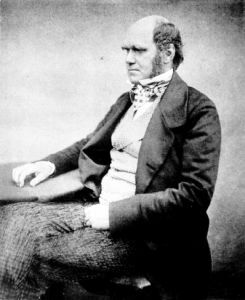 Charles Darwin is one of the most famous scientists in history ... or, depending on your point of view, one of the most infamous scientists in history. Either way, he had the same kind of effect on the life sciences that Newton or Einstein had on physics. His discoveries and his ideas are still reverberating today, a hundred and thirty years after he died. Wolf photo in header from a public-domain US Park Service photo. 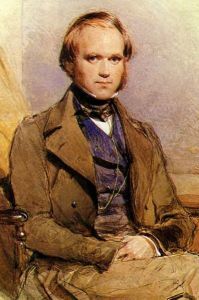 Portraits of Charles Darwin both from Wikimedia Commons, used under the appropriate terms. All corporate logos and symbols are property of their respective owners, used under terms specified by their owners. All other content on this page is copyright Jonathon Woolf, unless otherwise noted. Please see my Site Policies page for more information on copyright and other site details.